What is most obvious about the formal peace process in the Union of Burma (Myanmar) is its ‘uncertainty’. What will come next is something that nobody can predict when there are challenges present in almost all fronts. Since the top-level meeting was conducted between the highest-level of decision-makers from the Myanmar government and 10 top leaders of the ethnic armed organizations (EAOs) that signed nationwide ceasefire agreement (NCA) on 15-16 October 2018, there has not been any formal meeting or formal event jointly undertaken. 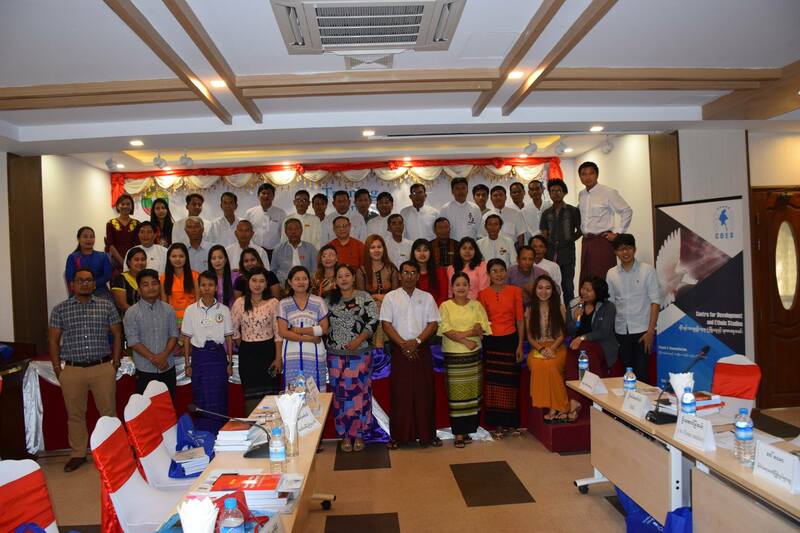 This lack of a joint formal undertaking on peace process between the government and nationwide ceasefire agreement – signatories of ethnic armed organizations (NCA-S EAOs) is a clear demonstration of stagnation, if not failure. It has now already been into four months with no formal meeting among key parties that are leading Myanmar peace process. What is loudly clear is that the Myanmar peace process has faced tough challenges not only in terms of substance but also in the process itself. 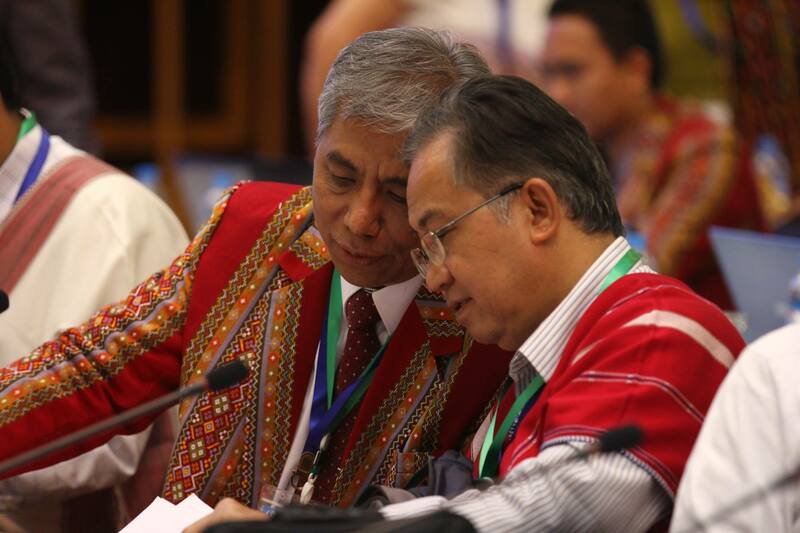 Substance-wise, the question of whether or not the non-secession clause for any constituent member state of the future Union of Myanmar shall be included as the core federal principles for Myanmar, which is currently negotiated in the political dialogue, still remains unresolved. Process-wise, key parties are unable to continue their high-level meeting to negotiate in order to seek a common ground to overcome such difficult issues. So long as they could not meet to discuss to find the best solution acceptable to all stakeholders, difficulties over substantive issues will remain unresolved which would continuously block meaningful progress. In fact, the central purpose for convening such top-level meeting, known as 10+10 meeting, in October of last year was to make political decision between the government and NCA-S EAOs over non-secession and single army/armed forces, two of the issues that cause impasse in the formal political dialogue. The shared understanding back then, and still holds true, is that there cannot be a substantive negotiation over ‘federal principles’ in the ongoing political dialogue without resolving these two controversial issues first. The fact that they still remain unsettled, it is essential that key parties gear up their collective efforts to tackle them. To reflect on the past four months since October 2018, the government has different take on peace process. From their point of view, it is not the government that does not want to find a common ground to resolve any difficult issues including the non-secession question from the Union. The representatives of the government contended that the delegation of the government have come to the so-called 10+10 meeting in October (15-16, October 2018) in Naypyidaw with their proposed options to resolve difficult issues so that the 10 top leaders from EAOs and the government can find a negotiated settlement. However, in their view, it was the delegation of top leaders of NCA-S EAOs that were unwilling to discuss any option put on the table for negotiation. No negotiation meant no breakthrough from the 10+10 meeting as a result. In retrospect, PPST leaders should have convened a review meeting among NCA signatories right after the so-called 10+10 meeting was held with the top leaders from the government if they are so sincere about their collective unity. They should have gathered together to exchange their respective analysis over the content, modality, outcome, and all aspects of such top-level meeting, that was unprecedented in the history of Myanmar peace process. 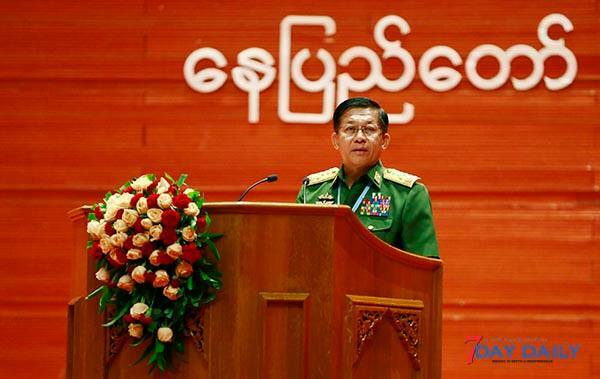 Moreover, even when there was a unilateral declaration of ceasefire for four months on December 21, 2018 (unilateral stoppage of its military operations by Myanmar military) in five regions of their central commands, each of the NCA-S EAOs, once again, responded individually as opposed to doing so collectively. It would have been so meaningful as well as effective if they responded collectively for such a move by Myanmar military, the first time in the history of Myanmar’s democratic reform process. Because of such failure to solidify their collective unity and collective voice among the NCA-S EAOs during important occasions, it is hard to understand the utility of their collective unity for their common purpose. Sometimes, the motives behind their unity theme for some of the ethnic armed groups themselves is questionable mainly because some groups repeatedly stated that their priority is their own individual organizational interests over the common interests of their bloc. Such statements that raise doubts and questions about the common purpose behind maintaining ethnic national unity should be avoided at all cost moving forward. After all, unity for the sake of keeping unity is not the ultimate political goal of the long-standing armed struggles in the Union of Burma (Myanmar), but only is a mean to achieve their common as well as shared goal of establishing a genuine Union of Burma based on democratic and federal systems. As such, the purpose of maintaining collective unity should always be balanced with whether such unity will lead to achieve the purpose and goal of their armed struggles. At the end, a writing on the wall for years to come will be about whether they achieve their political goal. What is next? As for the formal peace process, it is clear that it will not move forward if two of the main parties to NCA, the government and 10 EAOS that signed NCA, do not jointly lead. This means the government also cannot organize any formal meeting or gathering such as the Union Peace Conference (21st century Panglong conference) without the support and equal participation of the 10 NCA signatories of EAOs. As a step forward, there clearly is an absolute need for the 10 ethnic armed organizations that signed NCA (PPST+2) to convene a meeting among them first and foremost. Some of the leaders of NCA-S EAOs, in fact, have been trying for months to convene such meeting, and there is expectation that there will soon be a meeting among the 10 signatories before the end of February. 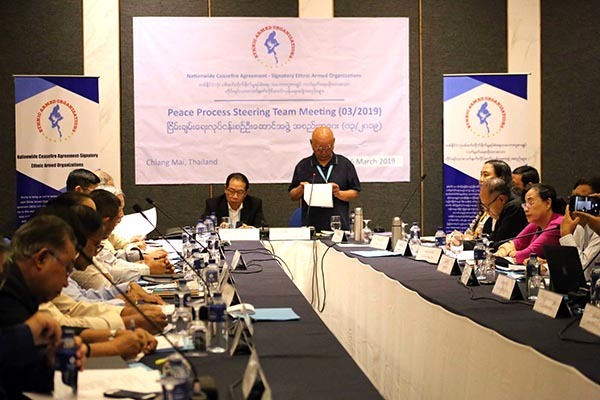 Process-wise, one would have a clear sense of where things stand with the formal peace process only after the 10 NCA signatories could convene the PPST+ 2 meeting. As they themselves try to organize a meeting among them to exchange their views on overall peace process and what they decide for a step forward, it is expected that all of them would try to maintain their collective unity as much as possible. However, if maintaining unity among them is not paving the way forward to achieve their common political goal, it is likely that those organizations who feel the need to find a way forward to scale up their effort to continue negotiating the substance of political dialogue – democratic and federal principles proposed in the draft Union Accord - might propose to move forward with the government. Let us wait and see what the outcome of the PPST+2 meeting would be!